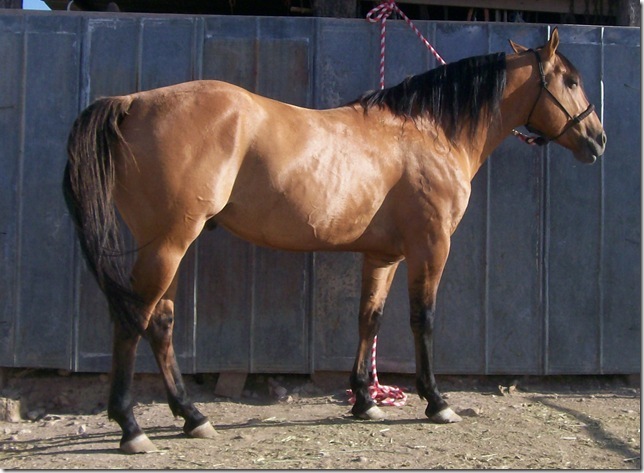 Mr Blackburn 060 – AQHA # - Dun Stallion, 14.3 Hands, 1200 pounds, 5 Panel Tested N/N. Mr Blackburn 060 is a Proven Producer. He is one of the Highest Percentage combined Pretty Buck & Blackburn stallions alive. 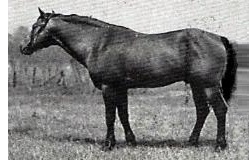 Mr Blackburn 060 – with 3 Matched Pairs of Chromosomes – is 37.50% Mr Blackburn 40; 25% Pretty Buck; 21.88% BLACKBURN; 12.50% Pretty Boy; 11.72% Peter McCue; 11.23% YELLOW JACKET. Mr Blackburn 060 is a son of Fortys Last Chance (red dun stallion, right) – Producer of ROM Performance Offspring, including the 1997 IBHA Congress Reining Champion, Mr Blackburn 932 (Quarter Horse Congress - ROM Performance, Wisconsin Reining Champion) ~ Mr Blackburn 060 is a Full Brother to Mr Blackburn 940 (dun stallion, left), Halter Point Earner & Performance Point Earner and Mr Blackburn 060 and Mr Blackburn 970), and several AQHA Reining ROM Earners, Point Earning Working Cow Horse, Arena Rope Horse Money Earner, and Exceptional, Complete All Around Ranch Using Horses. Fortys Last Chance foals were known for their Hard Natural Cow Sense. Offspring Record for Mr Blackburn 40 ~ Superior Performance Offspring ~ AQHA Champion Offspring ~ ROM Performance Offspring ~ Halter Point Earners ~ Performance Point Earners. - AQHA Offspring Record for Mr Blackburn 40 ; Total Points Earned: 343.5; Reg Foals: 147; Number Shown: 16; Point Earners: 11; Halter Points Earned: 35; Halter Point Earners: 7; Performance Points Earned: 308.5 ~ Performance Point Earners: 10 ~ Performance ROMS: 7 ~ Superior Performance Awards: 1 ~ Show All-Around; 1 ~ AQHA Champions: 1 ~ Total Superior Awards: 1 ~ Total ROM’s: 7. Mr Blackburn 060 is Line Bred 25% Pretty Buck – Halter Point Earner, Outstanding Calf Roping Horse Trained by Matlock Rose and one of Waggoner Ranch’s All Time Top Producing Sires. Offspring Record for Pretty Buck ~ World Champion Offspring ~ Reserve World Champion Offspring ~ Superior Halter Offspring ~ Superior Performance Offspring ~ AQHA Champion Offspring ~ ROM Performance Offspring ~ NCHA Money-earners, NCHA World Champion, NCHA & AQHA Hall of Fame Sire. 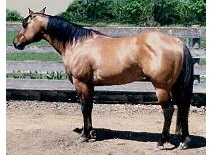 Sire of 274 AQHA foals: 9 AQHA Ch, 30 ROM Performance, 4 Superior Halter, 2 Superior Performance. Leading Sire/Maternal Grandsire list of AQHA Champions. 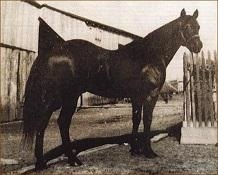 Mr Blackburn 060 is Line Bred 11.23% YELLOW JACKET ~ One of the Most Influential Quarter Horse Sires in the Industry, even today. 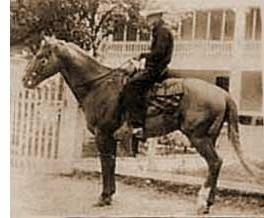 Most notable sons, Cowboy P-12, Blackburn, Strait Horse, Yellow Boy. 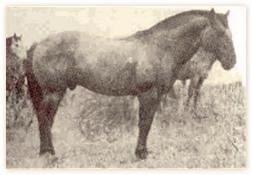 Some of the most noted tracing to him, King P-234, Hired Hand, Bert, Waggoners Rainy Day, Hollywood Gold, Sonoita Slim, ROYAL KING ( 3 times line bred YJ ), Texas Blue Bonnet, Gray Hancock, Bogie Black, Baldy Joe, Tallyman, Mr Blackburn 40, Fortys Last Chance, Dan Waggoner, Beetchs Yellow Jacket, Easter King, Hollywood Jac 86, Topsail Whiz, Great Pine, Hollywood Smoke, Easter Gentleman, Royal Blue Boon, etc. 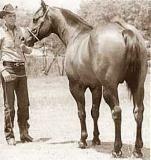 Mr Blackburn 060 is only 3.125% Poco Bueno going to Poco Bueno 1 time in his pedigree. To the best of our knowledge this is the lowest percentage Poco Bueno genetics alive that carries 25% Pretty Buck and 21.88% Blackburn, making him very unique to his line bred genetics!